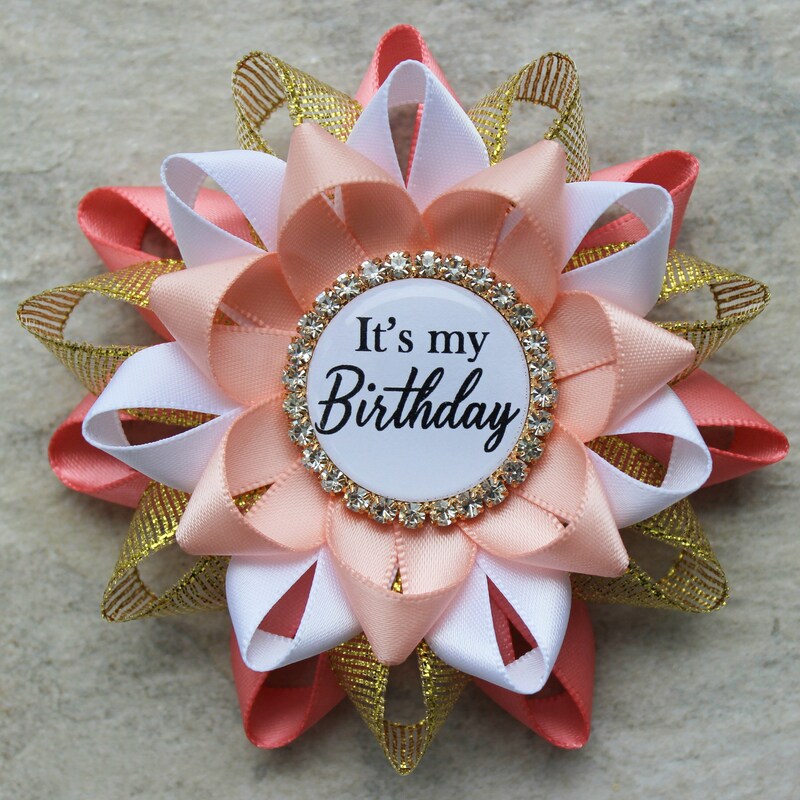 Celebrating a birthday? 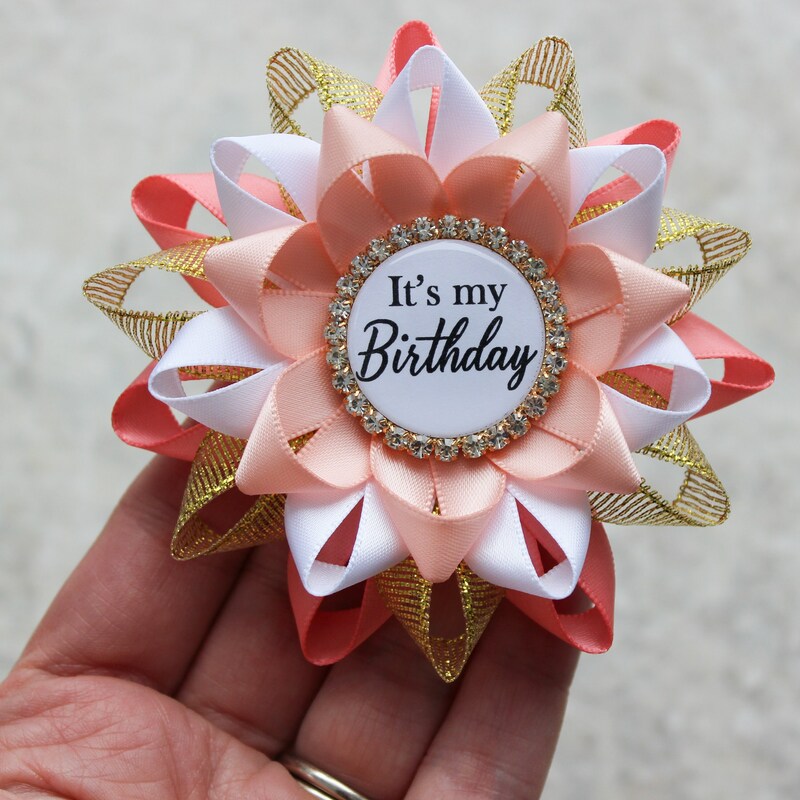 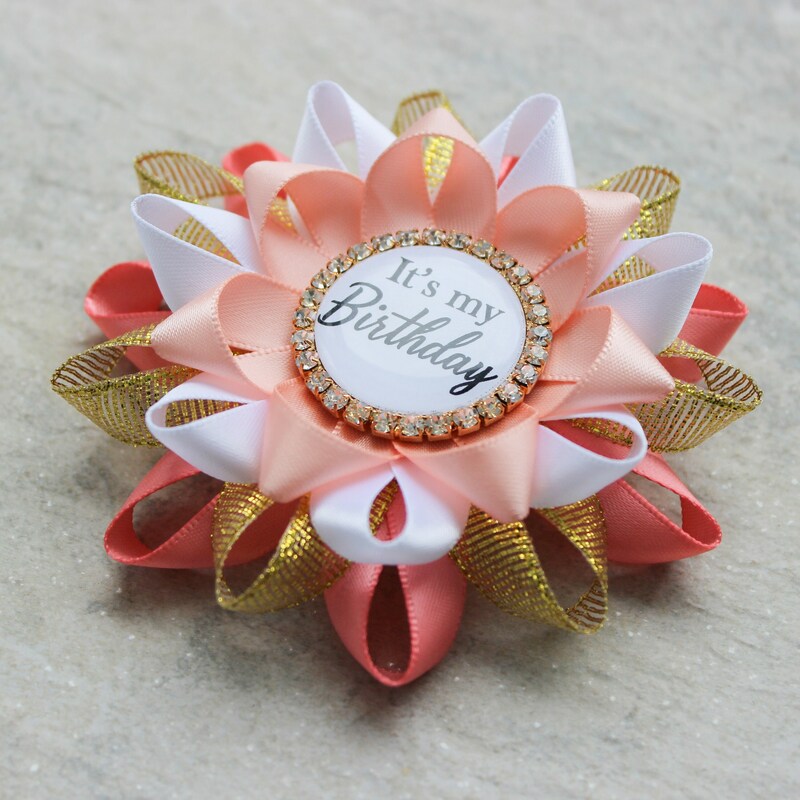 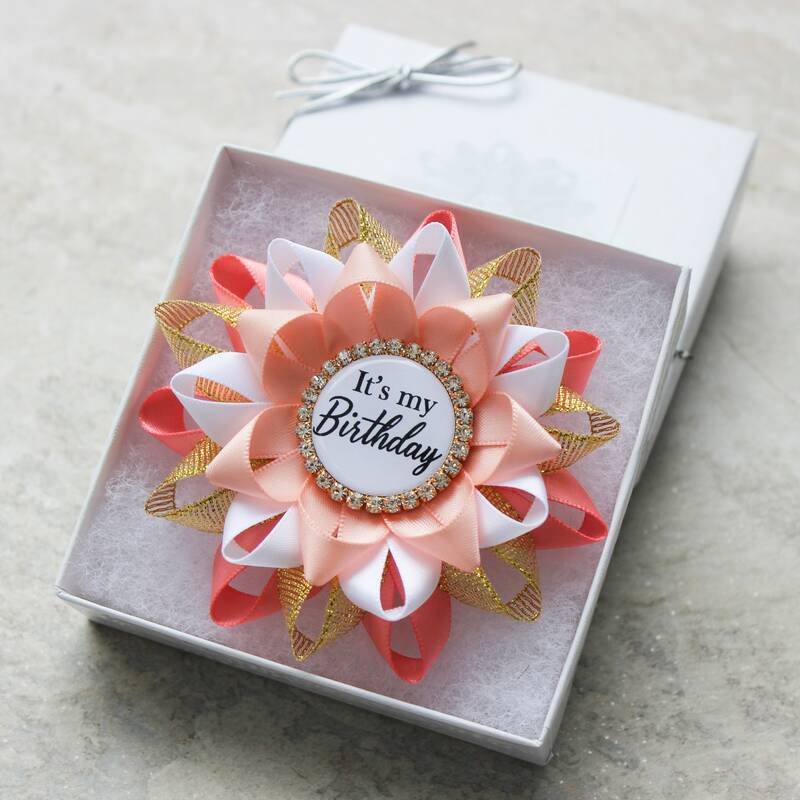 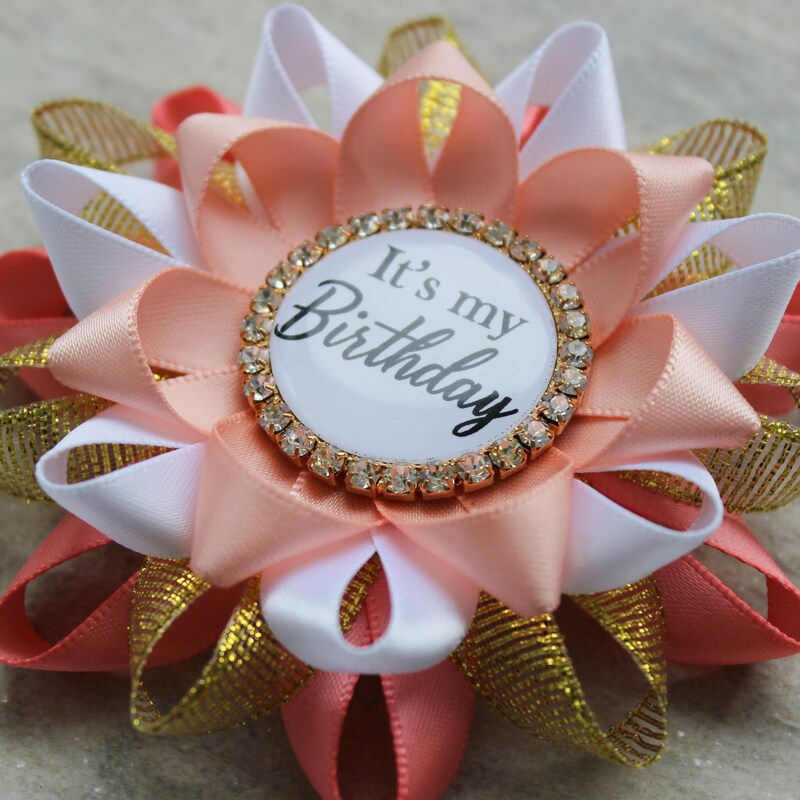 This "It's My Birthday" pin is handmade made from Coral, Metallic Gold, White and Peachy Pink ribbon with a silver and crystal framed centerpiece. 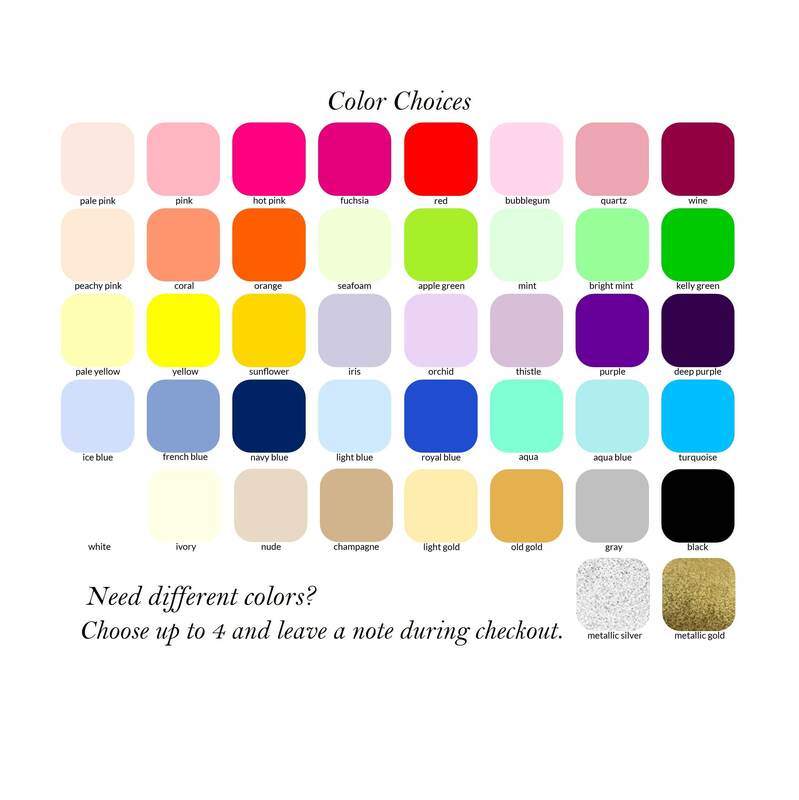 You are welcome to leave a note during checkout if you would like color changes. 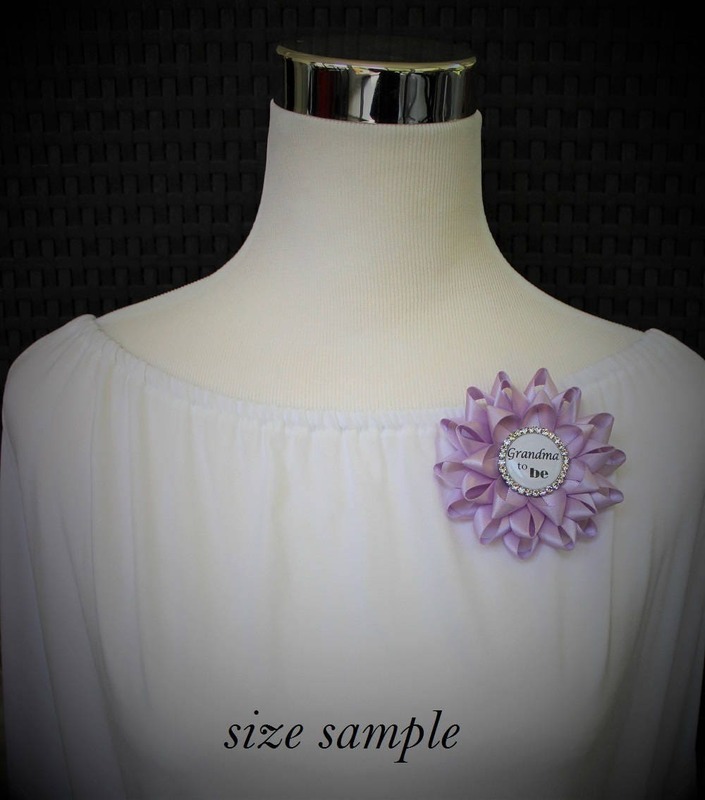 Please see the color chart in the pictures for all available ribbon colors.